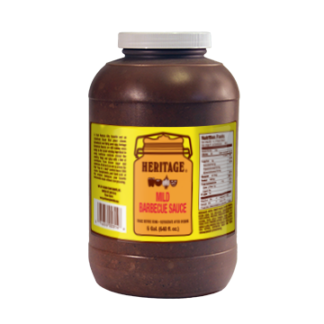 Heritage Mild Barbecue Sauce - Garden Complements, Inc.
As a first place winner at the iconic American Royal Barbecue Contest, this true “Kansas City Style” barbecue sauce is tangy with a hint of sweetness from brown sugar and molasses. Spicy yet smooth. 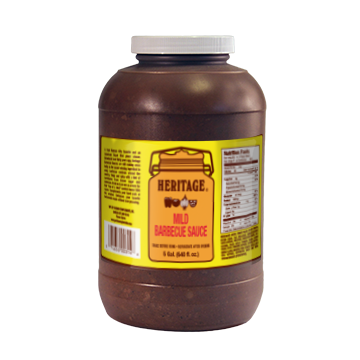 Professional quality: Formulated to withstand the rigors of foodservice; No artificial flavors or colors: Only the finest ingredients for rich, full flavor; Extendable: High-quality sauce lets you add simple on-hand ingredients to increase servings and create signature sauces without sacrificing flavor; Profitable: More servings per gallon.